While literally meaning Seven Expectations, the name Zevenwacht exemplifies the abundant delights, which await your visit to the farm. Situated on the Stellenbosch Wine Route, Zevenwacht Wine Farm has viticultural roots, which penetrate deep into the historic past of South Africa. The 4-star country inn at Zevenwacht provides you with air-conditioned luxury comfort, while the vineyard cottages - each with 3 double rooms, provide for groups and families that want their own space. Or if you want your own home a way from home, there is a self-catering chalet with 4 en-suite rooms. Zevenwacht Country Inn caters to banqueting events for up to 220 of your closest relatives and friends - so if you are not married yet, do it here out in the vineyards, in summer. A wedding at Zevenwacht Cape Winelands Country Estate is one you will never forget. As a business conference venue - away from all the city pollution and noise, Zevenwacht Auditorium can accommodate 64 delegates. As a first league international player, Zevenwacht offers conference organizers absolute state-of-the-art technology capable of interfacing with the international technology of overseas lecturers. The wines of Zevenwacht are distinguished by their classic style and finely crafted elegance. The Cellarmaster honours century-old winemaking traditions, yet is boldly innovative, welcoming the contribution that modern technology makes to the vinification of premier wines. Covering 100 hectares of the 500 hectare property, the vineyards are ideally situated for the growing of quality grapes. Zevenwacht is characterized by good quality, varied soils and the vineyards have been selectively planted with red and white noble varietals. Zevenwacht offers conference organizers absolute state-of-the-art technology capable of interfacing with the international technology of overseas lecturers. 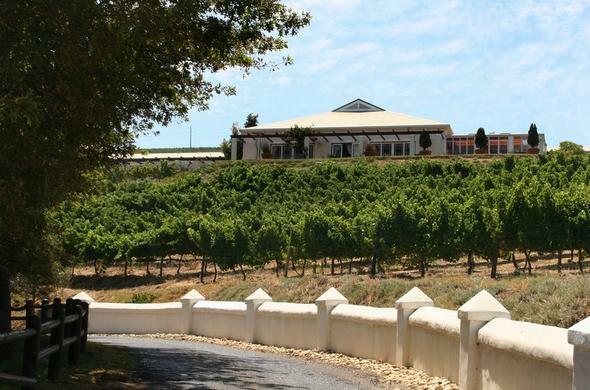 The 4-star country inn at Zevenwacht provides you with air-conditioned luxury comfort, while the vineyard cottages provide for groups and families that want their own space.